Mr. Muneeb Ahmad, SMO Hayat Foundation welcomed the honorable guests and told that Mr. Nadeem Akhter is on UK visit therefore I am doing this on his behalf. He said that Human Rights Day is commemorated worldwide on the 10th of December under the auspices of the United Nations, it is therefore HF organized the today’s event. He said that the objective of today’s seminar is to raise awareness on human rights issues and its solution. The seminar will also offer an occasion to follow up on some of our earlier discussions. Our aim is to provide a platform for intellectual exchange of ideas and opinions on human rights issues in Pakistan. Rana Naseer Advocate explained that in 1950, the United Nations General Assembly established Human Rights Day so as to honor the newly drafted Universal Declaration of Human Rights (UDHR) and its new global standard of dignity for all people, in all nations, all around the world. He said, on this Human Rights Day, let us remember that why the UDHR was created and written, why the world came together to forever enshrine the words “all human beings are born free and equal in dignity and rights”. Mian M. Nadeem, Incharge HR section HF said that around the world, the fundamental struggle for dignity – for economic justice, political freedom, and personal expression – continues every day and in many forms. He told that during the visits of different areas of Pakistan, I’ve seen how the young girls in KPK are struggling for better educational facilities. I’ve seen the courage of brave youngsters of Sindh, KPK and FATA who are peacefully raising their voices for justice and basic human rights. He added that I saw vividly how activists came together to change their nation through movements committed to advance labor rights, civil rights, women’s rights and peace. 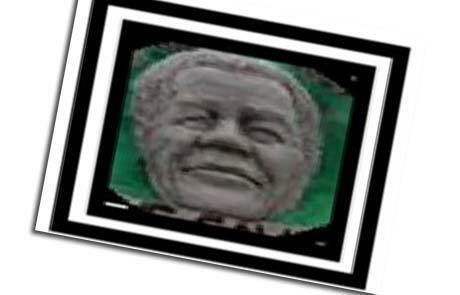 There are many who worked for human rights but the efforts of Mr. Nelson Mandela are remarkable, therefore we must solute him. Mrs. Afshan Sultan the Chairperson of HF delivered a briefing on “Human Rights” practices across the globe as well as in Pakistan, in her closing remarks. She said, when people will understand human rights; it would be easier for them to promote justice and the well-being of society. They are 60 rights that everyone has and mean that we live in a diverse world where everyone is equal and respected. It is so important that every human should have rights to live, right to express, freedom of speech, right to do whatever he/she wants.